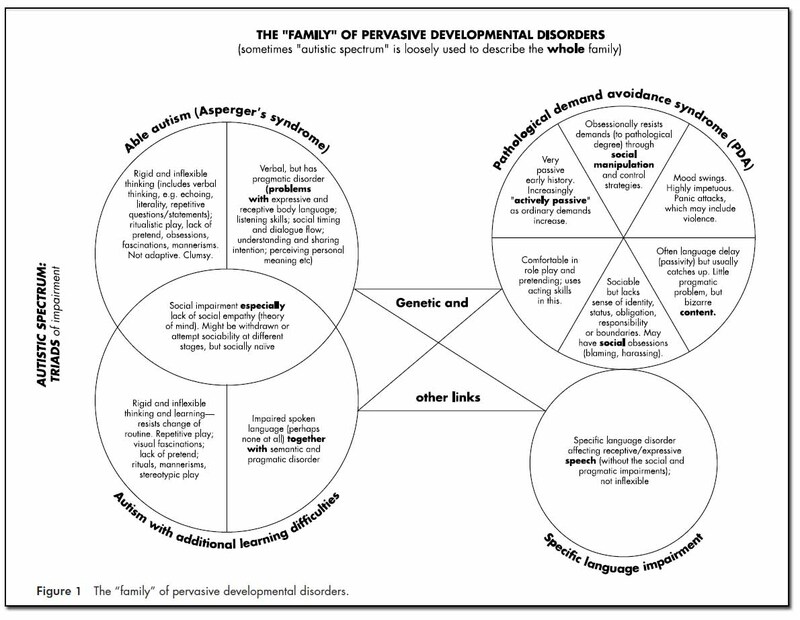 Newson 2003: Pathological demand avoidance syndrome: A necessary distinction within the pervasive developmental disorders. Archives of Disease in Childhood. 2003 July; 88(7): 595-600. Newson here proposes that PDA should be considered a separate entity within the pervasive developmental disorders. Table 1 on Page 597 gives a detailed description of such a child, using 8 categories. This is so comprehensive, I have reproduced it here. Feel free to print it to share with your doctor, school, or others. NOTE: This was more than a decade ago. The few studies since then, and the development of a diagnostic questionnaire are listed below. While PDA is recognized in the UK, after all these years it is still relatively unknown in the US. These children are difficult to treat, and when therapies designed for autism don’t work, parents are often blamed for “not doing it right.” These parents need help; they need their doctors to become educated in this area. This entry was posted in 2001-2005, Autism, EDA: Extreme Demand Avoidance (also PDA), PDA: Pathological Demand Avoidance, Research Studies. Bookmark the permalink.